Thinking about being a camp nurse this summer, but not sure if it will work for you? Here’s two facts about working as a nurse at camp that may help you with your decision. You can also read our blog post on the truth about being a camp nurse if you’d like to find out more about camp nursing. Fact #1: You may work as a nurse in a state other than the state where you currently hold your license. Great news for nurses out there considering working at summer camp this year! If you thought you were bound by the confines of your state boundary, this will come as great news to you. With just a little bit of effort, you can be enjoying your summer working in the Rocky Mountains of Colorado or the beaches of California (or the state of your choice!) while earning an income. If your state, or the state you wish to work in, is not a NLC state, don’t be dismayed – you may still easily apply for a license of reciprocity in which you are able to become licensed in time to work at summer camp. So, how do you go about finding a camp job now that you know all this good information about licensing? Register at CampStaffNurses.com (it’s free!) to gain access to hundreds of summer camp nurse jobs available for this summer. Start now. It may take a few months to get your employment taken care of in addition to any licensing paperwork. Fact #2: Many summer camps will hire nurses for part of the summer if you are not able to commit your entire summer to camp. Ideally, you work at a camp and can make the start date somewhere in early-June and stay all through the summer until the end date, sometime in mid-August. 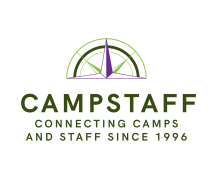 However, if you cannot commit to the full summer because your job at home mandates that you are home, still consider working at camp this summer. Many camps are flexible about the dates for nurses to work and will consider 2-4 week stints for their health care staff. Again, find the camps you are interested in and contact them with your questions in mind. Camps may be willing to work with your schedule!